Living in Cambridge, Massachusetts, Liam Hannon is a boy with a difference. Having seen the state of so many homeless people around the area, he wanted to help in whatever way he could. But honestly, what could a little boy of 10 years do, right? Well, back in 2017, the kid who was yet to enter fifth grade in school started out by making lunch for the homeless one day a week. Placing the food in paper bags, he would add a handwritten inspiring message and add a doodle on the bag too. 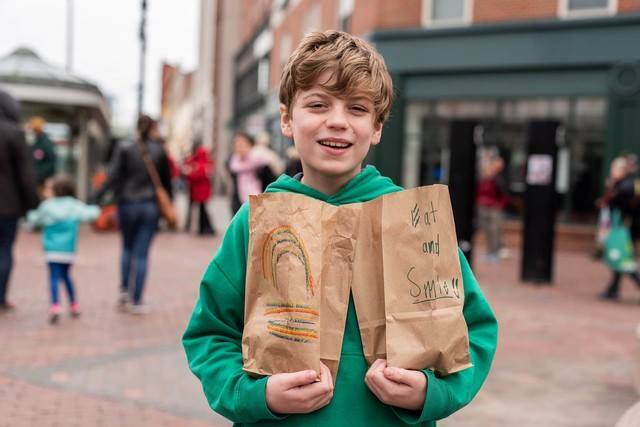 Every week, he and his family would walk up and down the streets of Cambridge delivering these personalized lunch bags. 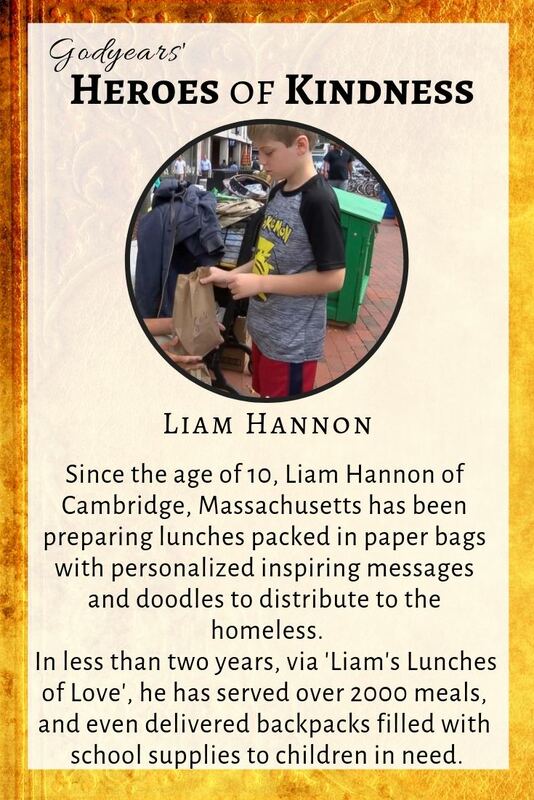 By the time he was 12, Liam was the founder of 'Liam's Lunches of Love', an organization dedicated to handing out meals to the homeless in Cambridge. The receivers of his kindness are truly grateful with some having saved every single bag they have gotten till date from Liam. Common meals inside the bag include peanut butter and jelly sandwiches, ham and cheese, apples, oranges and potato chips. There have been spicy stews and turkey meals too. 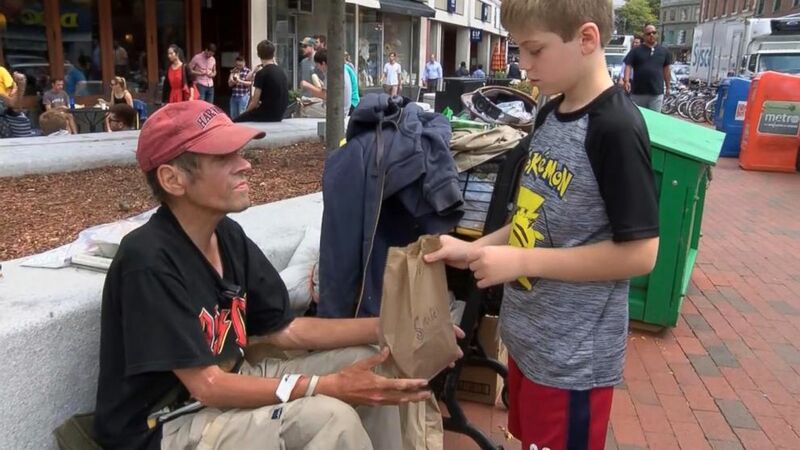 Having given over 2000 meals to the homeless, the young boy is not done yet. Along with his dad Scott, he even partnered with the Hildebrand Family Self-Help Center in Cambridge to deliver backpacks filled with school supplies to homeless children living in shelters. They aim to buy their own food truck to help them travel further and provide food to more homeless people in the days to come. 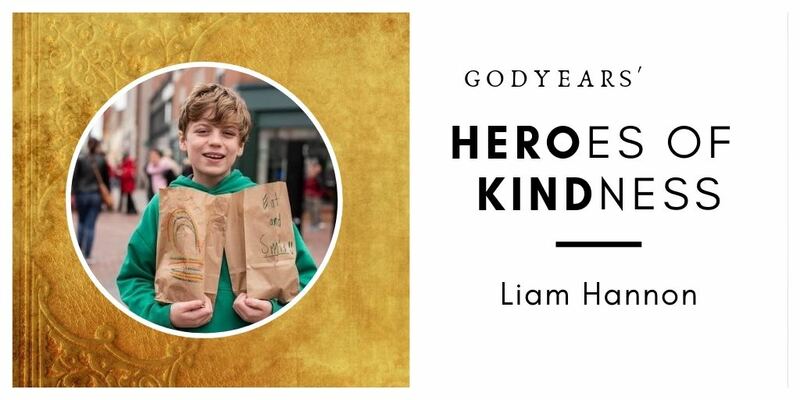 I had the opportunity to talk to the young Hero of Kindness Liam Hannon last month. The mayor of Cambridge rightly pointed out that you 'give hope for the future of Cambridge, the country and the world.' Do you recall what made you start this gesture of compassion. I started Liam's Lunches Of Love because I didn't want to go to summer camp so I had to do something productive. The public libraries had something called The Build A Better World Reading Program which inspired me and Brainchase (A Treasure Hunt Website) helped me think of what to do over the summer. I love the idea of a personal doodle along with the food. There is something so kind in that gesture. How do the recipients of these doodles react to your words? They usually don't see the message immediately but I hope that it inspires them to make the best with what they have which can be more important than the food itself. I heard you plan to get a truck to travel more easily across Boston and deliver the food to the homeless? Could you tell us more. We really want to get a food truck so we can cover more area and deliver more lunches. On the truck we can make lunches there instead of preparing beforehand and having too many lunches. We can also sell food so Liam's Lunches Of Love can be self-sustaining. It is reassuring to see one so young display the kind of selfless maturity that most adults lack today. 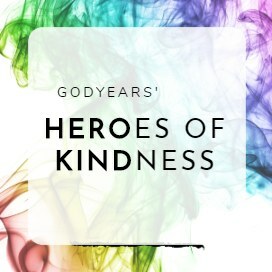 What do you feel the world could (and should) do to become better individuals and perhaps, heroes of kindness ourselves? We should be able to be kind to each other and not be separated by poverty, race, gender, sexual orientation, or religion. Just being compassionate and not hateful is a start to ending hate. Kindness is never small or big, it just is. Thanks for bringing us these stories Roshan. These are the kind of stories that need to reach a wider audience. Exactly. I wish I were half as good as this guy was at that age. Even a little boy can help so many people. All we need is intent. I wish I could see some of his doodles. Such an inspiration! Kids need to be taught to be kind and giving. Liam leads the pack no doubt about it. I actually have received a comment from a couple of doctors who are thinking about doing it in their area. Lets see how it goes. 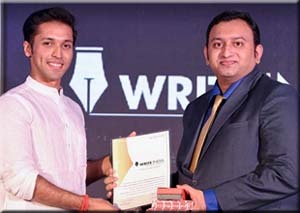 He started this noble work when he was 10!! So inspiring! 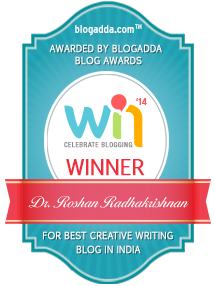 Thanks for sharing his story and his interview with us, Roshan! I know, right... imagine at the age of 10! Wow! This world is inspiring, if we know where to look! Thanks doc for sharing these positive stories among the heavy buzz of negativity! How lovely. It takes gumption to do that. Heading to read your other posts too. 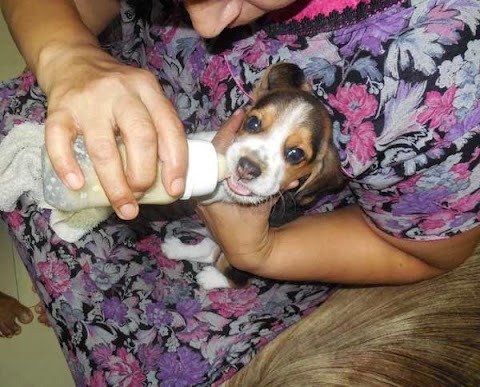 Thank you for sharing this beautiful and inspiring act of kindness! Much power to Liam for all his future endeavors! It is really heart warming to know that the call of the unloved is never gone unheard! God bless you Liam! The world could do with a lot more Liams.. That is for sure. What a kind thing Liam is doing! It was a wonderful idea on his part. Also, it's nice that he has so much family support. 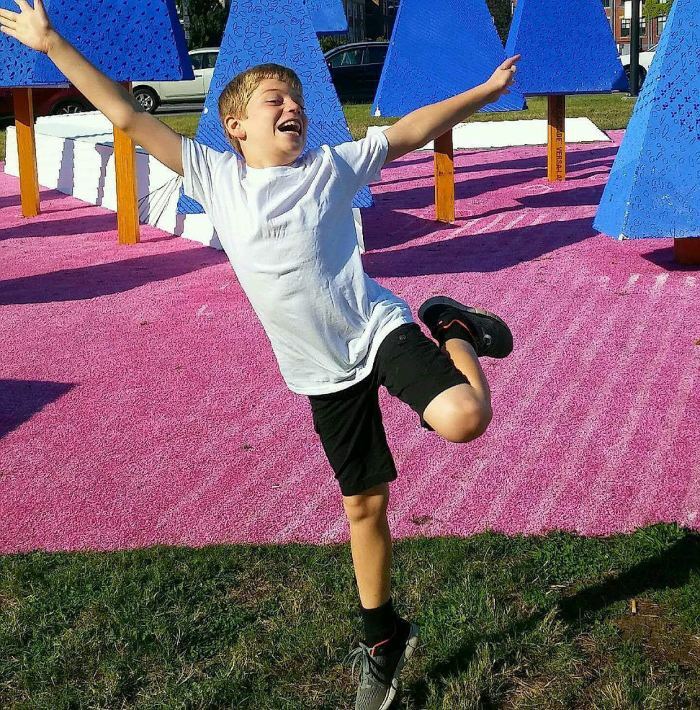 His family wants to invest in this project by obtaining a food truck. Not all families can or will make that kind of investment.